When You Have To Watch Your Racing Budget Closely But You Don't Want To Scrimp On Any Of The Critical And Intricate Details Of Race Engine Assembly This Is The "Budget Minded" Package For You! When Your Old Short Block And Heads Have Seen Better Days And You Need A Fresh "Heart Transplant" To Keep The Win Lights Coming This Is Your Baby. We Do All The Hard Work And You Just Finish Up The "Tin Work" And Bolt On Your Old Carb, Intake And Ignition System. 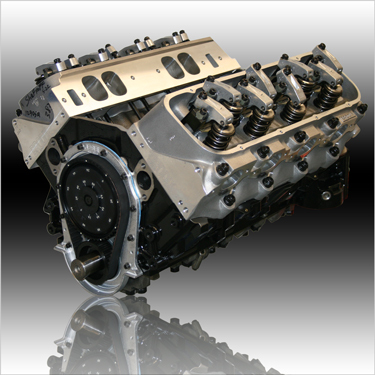 These Long Blocks Are The Exact Same Configurations As Our "Sportsman Series" Race Engines. They Are Availble With Any Of The Options Or Upgrades Listed Below.